Thai Airways International is launching non-stop service between Bangkok and Brussels Airport on November 17. The airline will become the only Southeast Asian carrier to operate direct flights between Belgium and Thailand. Thai Airways International will operate three round-trips a week on its non-stop flights between Bangkok’s Suvarnabhumi International Airport (BKK) and Brussels Airport (BRU). According to UBM Aviation Routes Limited, Thai Airways International and Brussels Airport agreed for the airline to launch the new service as a direct result of their attending the Routes Asia event held in Incheon, South Korea earlier this year. “We are delighted that the Route Exchange briefings that are held at Routes events, act as a clear and effective tool for airlines achieving real success in their network development plans and in helping our airport clients to gain real results,” remarks David McMullen, business development director for Routesonline. Thai Airways International’s flights on the BKK-BRU route will leave BKK on Tuesdays, Thursdays and Saturdays and the return flights will also depart BRU on the same days, local time. 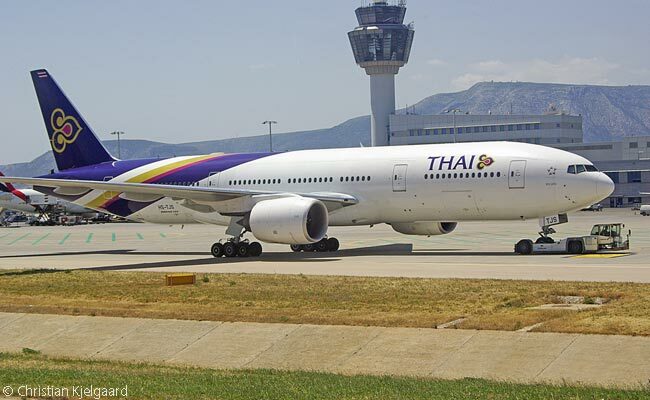 The direct flights from Brussels to Bangkok will enable passengers to connect into Thai’s extensive network in Asia and Australasia, via Bangkok. The carrier will operate the new route with Boeing 777-200ERs, each featuring 30 business-class and 262 economy-class seats, all with the latest in-flight entertainment systems. Thai Airways International’s new service between Bangkok and Brussels will be available for booking from July.